The Black Dice CHILL watch is part of the urban streetwear collection that showcases modern and sophisticated designs expertly blended with a touch of rebellious trendsetter attitude. 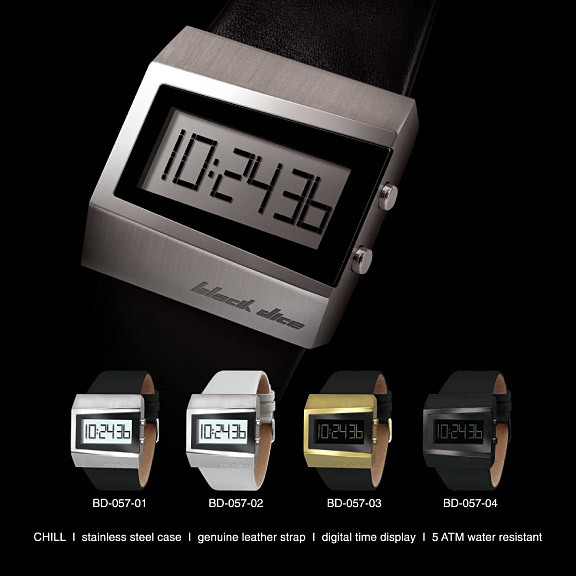 This version of CHILL features a black genuine leather strap with custom black case and dial with reverse LCD digital display. 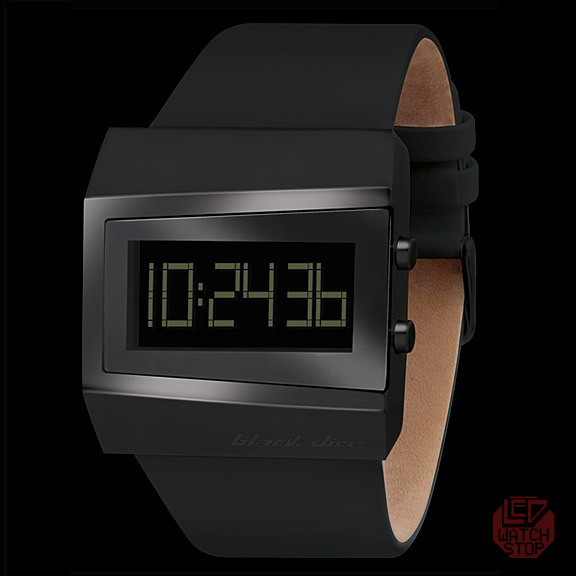 Chill out with this cool Black Dice timepiece! The perfect fashion accessory for your lifestyle.